It's definitely a Storm Rider. But I don't know the name of this variant, as opposed to the typical ones that are built on the shorter "trucker" design. I don't remember the tags having a date. There is a lot number (220-0241), but I wonder what Lee's name for the jacket was. 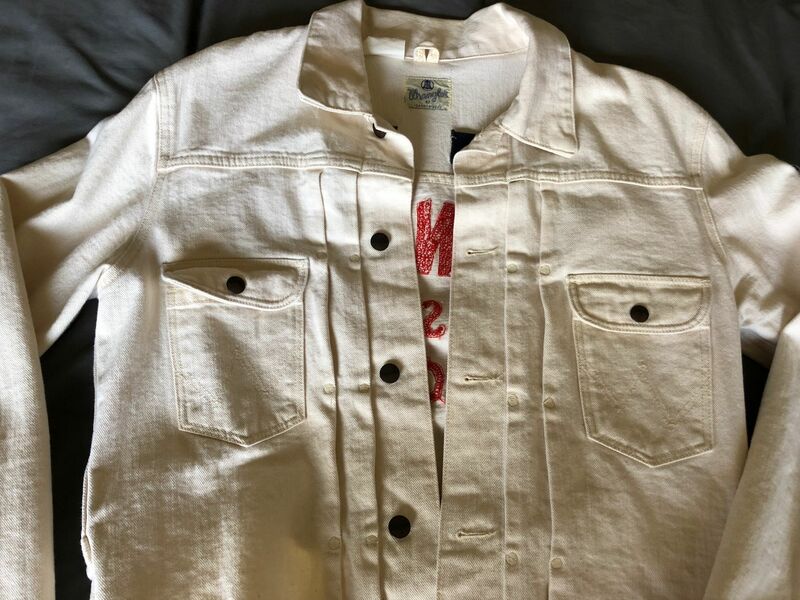 For example, my dead stock '70's Levi's jacket has the lot number 70505-0217, but the front pocket tag lists name of the jacket: "Fitted Jacket." 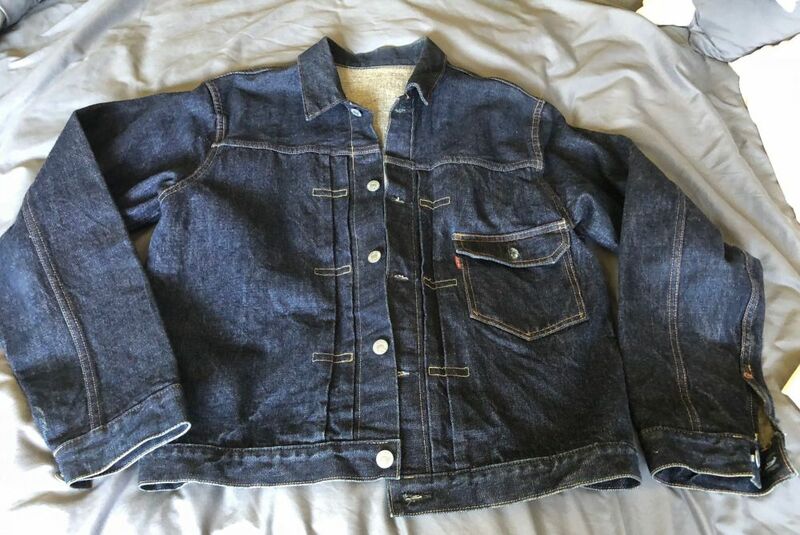 There is at least one variant of this jacket style, which features a narrower, more "normal" looking collar. 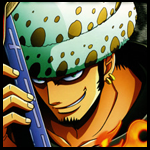 IIRC, I have also seen this cut in dark brown. Each tag is made from a different type of coated woven material, not paper. The lot number is 220-0241. 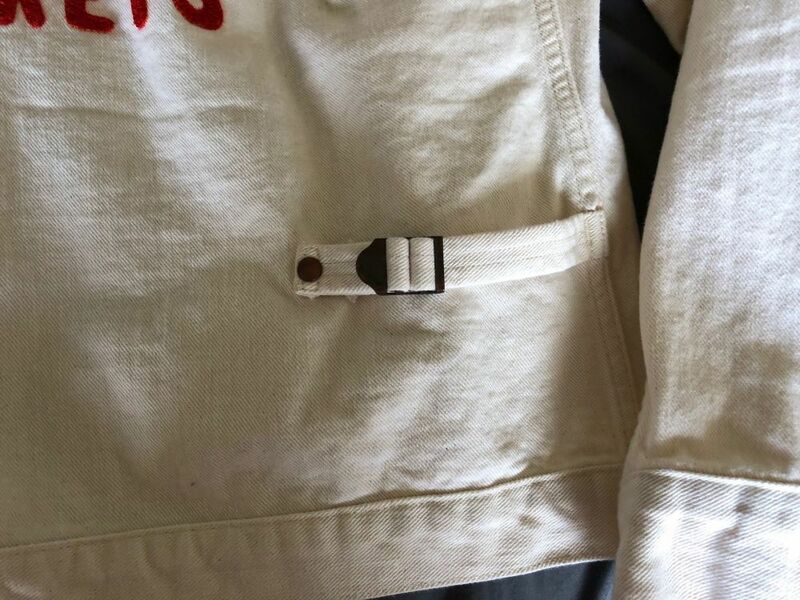 I suspect that either or both of these, but especially the long one, could actually be very early '80's, before the '80's mods that Lee made to their jackets. I'm not sure, though, as there is not a whole ton of detailed Lee identification info that I've found online. One can quickly find out nearly anything about Levi's, but Lee and Wrangler info is more scarce. My instincts say the the short jacket is probably early '70's, while the long jacket is probably late '70's. 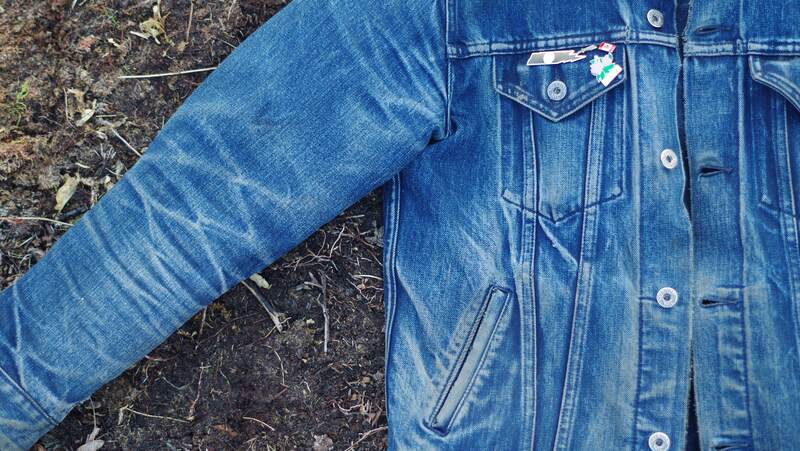 Honestly, @swiss-jeansfreak, I think I prefer it with the button missing at this point. 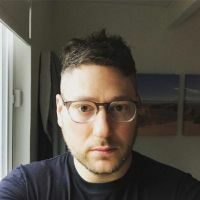 Not sure if it's visible in the photo, but I swap my eyeglasses for sunglasses in and out of that pocket constantly, so not much need to keep it buttoned. Thank you, @Bobbo, both for the comment on the jacket and the well wishes. The first accident where I lost the button was much worse than the second. I injured my chest and shoulder and was off the bike for about 3-4 weeks. The second I managed with alarming grace. Got doored by a cab, but landed on my feet, bike three feet behind me, then gently rolled down to my knees. Didn't even scuff my hands. I take it as my one get-out-of-jail-free card. Hopefully I won't have another accident any time soon. I suspect that either or both of these, but especially the long one, could actually be very early '80's, before the early '80's mods that Lee made to their jackets. I'm not sure, though, as there is not a whole ton of detailed Lee identification info that I've found online. 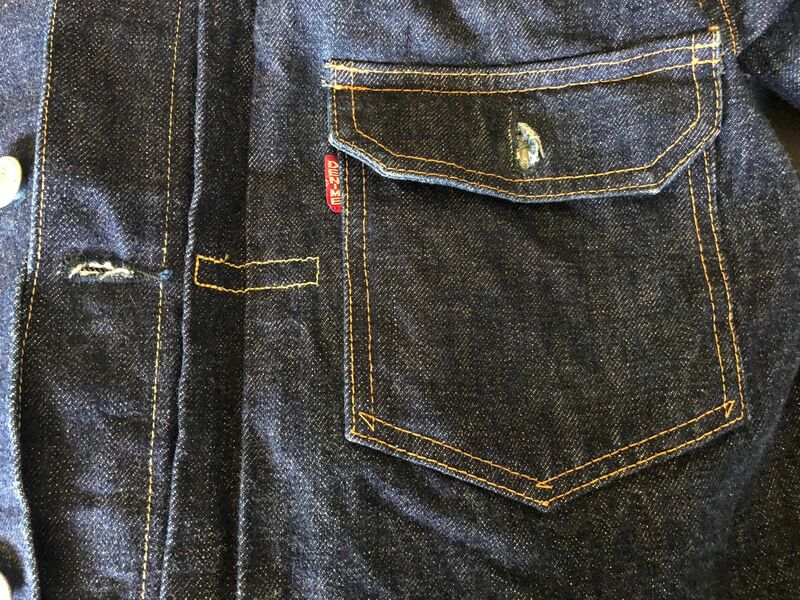 One can quickly find out nearly anything about Levi's, but Lee and Wrangler info is more scarce. My instincts say the the short jacket is probably early '70's, while the long jacket is probably late '70's. Thanks for the excellent detail pics. 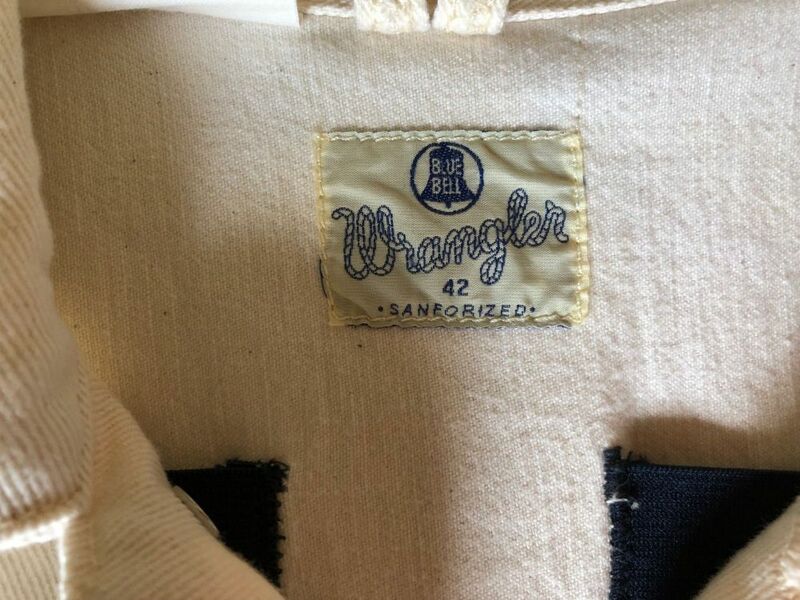 Both jackets are almost the same age, because both are Made in USA so after 1975 (before it was Union Made, and before 1969 it was 101-LJ for the regular StromRider ). And both are the 220 Lot series so I guess both of them at end 70-ies or very early 80-ies but for sure before 1986, when they added 2 side pockets. And it's true, almost no detail infos on the internet. I'm out in the mountains but I could check back some more details in some books about the different time periods of the patches. 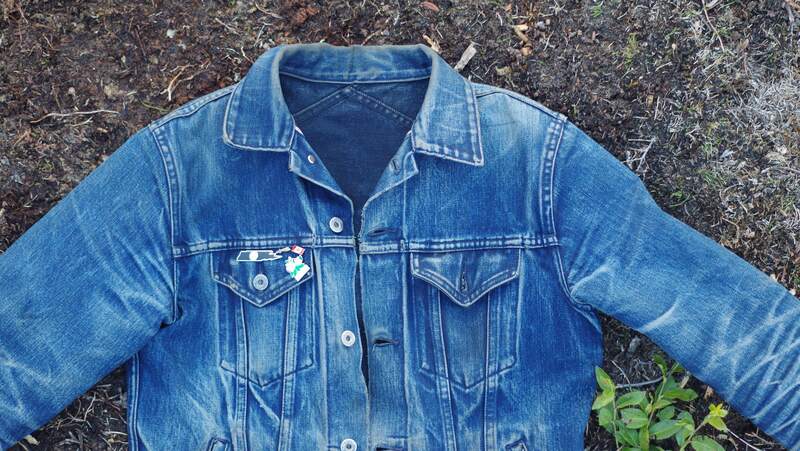 And your never washed Lee Storm Rider denim jacket is really fantastic. I would be more then happy to own such a beauty!!!!! 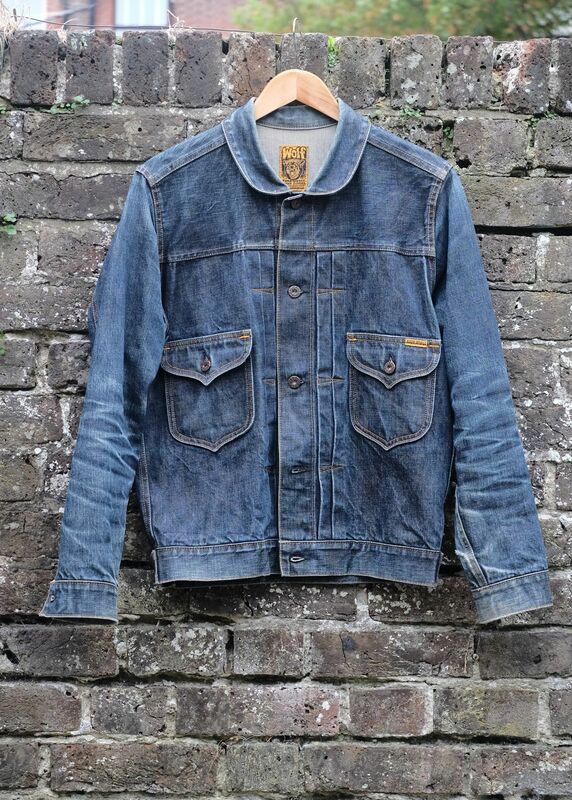 Does anyone know of a quality sherpa denim jacket...? That’s a photo of the Self Edge model swiss! How many washes? This jacket is grail status. 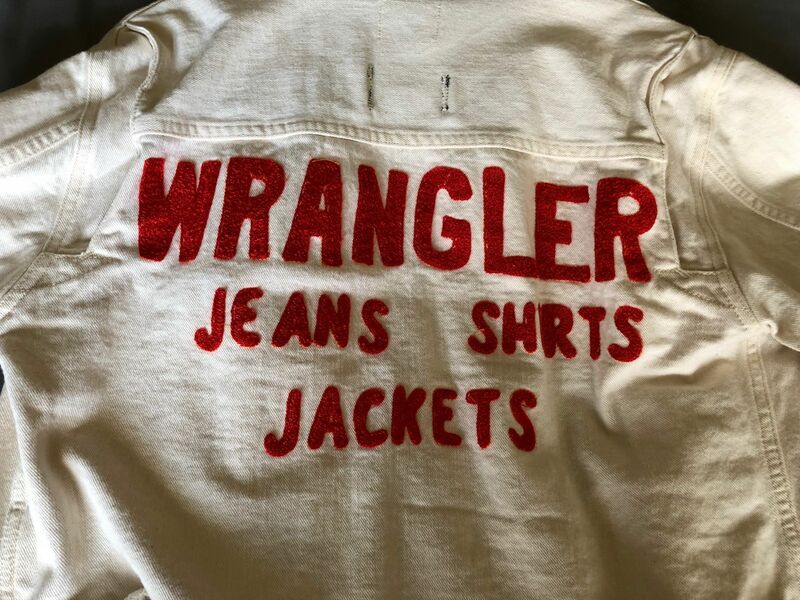 I would go dead stock '70's–'90's, myself: Levi's, Lee, or Wrangler. You'll probably pay less than a new sherpa jacket from a "boutique" brand, and perhaps even get a better made jacket while you're at it. Be aware that there are some cool sherpa jackets that were not made of denim. 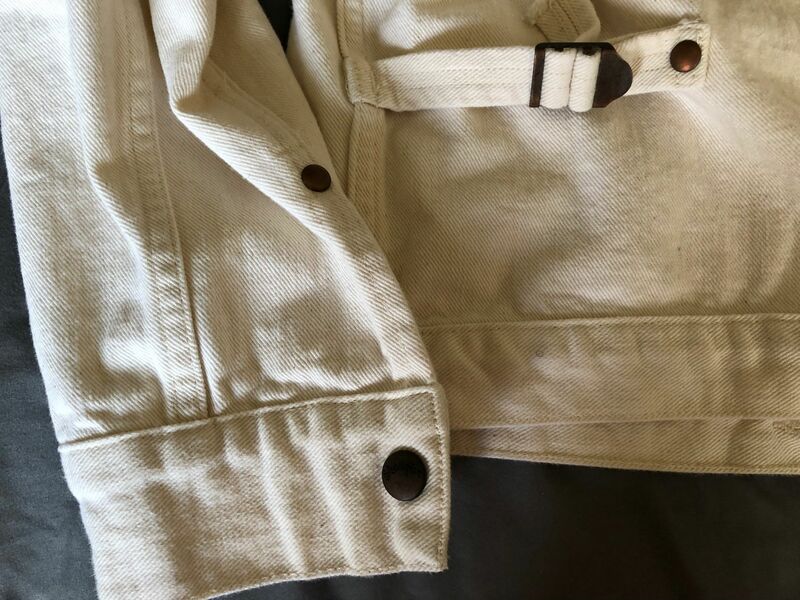 I love my '70's or early '80's Wrangler sherpa lined JL301, which is made of brushed cotton twill, and doesn't have any sherpa material on the collar (my preference, as it's less showy/more classy IMO). I got it true dead stock, with original tags, for about $50 shipped, on E-Bay. I clipped the ears of the giant late '70's collar, and proceeded to start wearing it as if it was new. 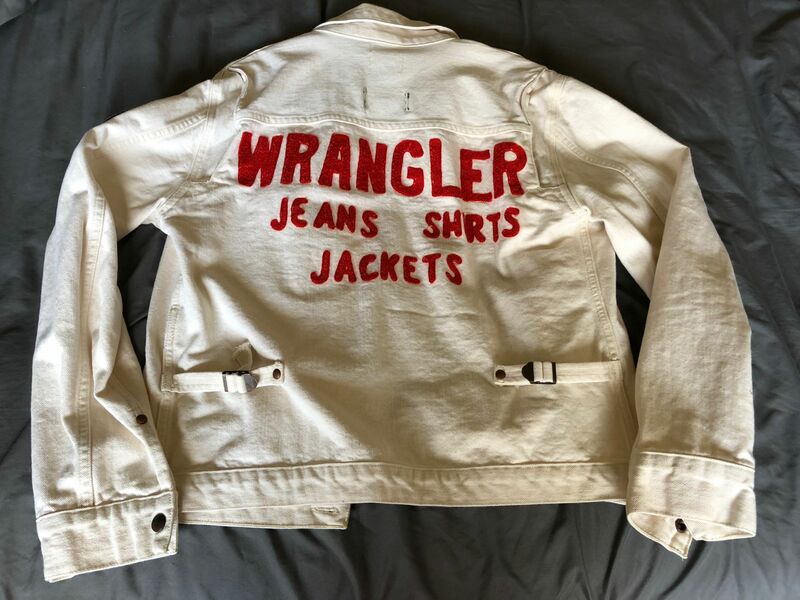 Also, if you're into the style of '70's Wrangler jackets, make sure to search for Maverick brand jackets as well. They're the same maker, same basic thing, but usually cheaper (think buying the Plymouth version of a car instead of the Dodge version). Yeah I know and you got me ha ha, I was just too fast answering your post with those hardest core faded jeans. Glad Hand jus told came out with a nice one. @cottonskinblues I have no idea how many actual washes. I wash it every month or so from fall through spring. It's had at least 20, I would guess. All different detergents, laundromat machines on "Colors" setting, tumble dry on "Medium" heat. It was OW from Burgus. 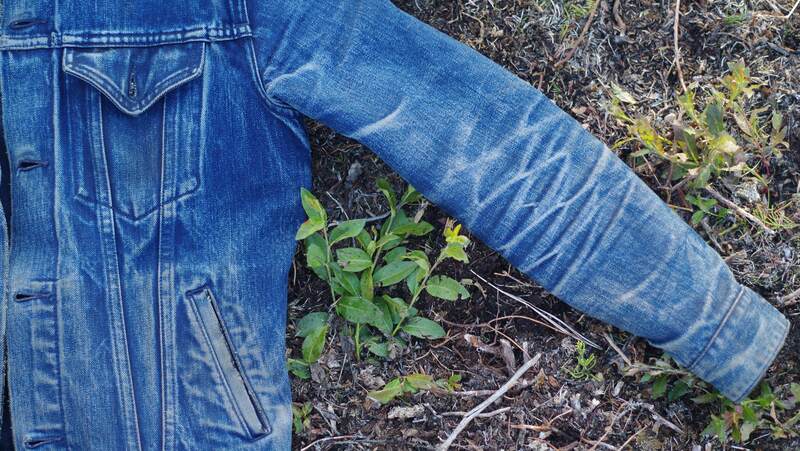 Proof that you don't need to buy raw to get great wear from denim. Just live in it, wear it like it's skin, wash it when it needs it like anything else. 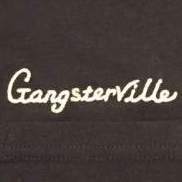 The manufacturer and fabric took care of the hard part for me. Vintage Levis Orange tab, vintage Lee, vintage Lee, vintage Levis Big E and my dog. cross-post from 3-sixteen thread. 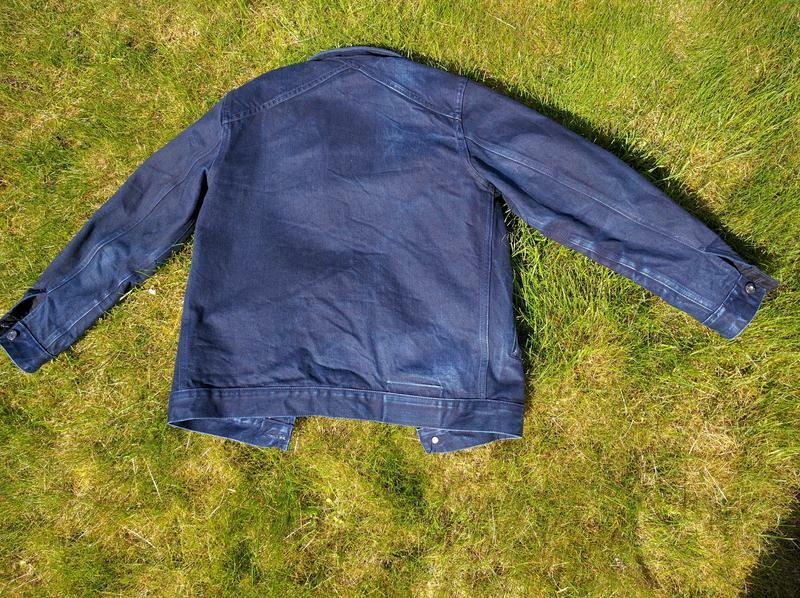 My shadow selvedge jacket. 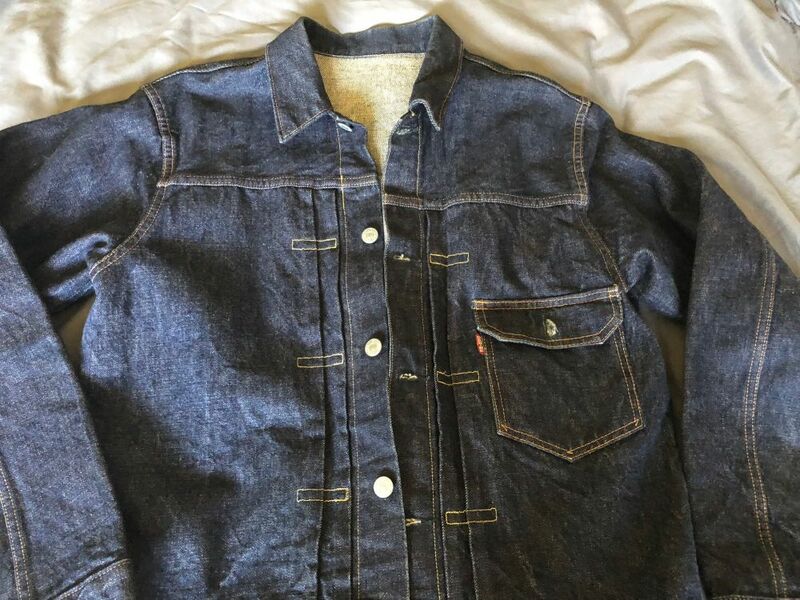 I have a denim jacket but I just don't find it kunfy particularly if I'm only wearing a tee underneath and was thinking of getting a cord or duck trucker . I love this blue cord , it looks good on you're frame . im bummed no one here stocks anything like that , even Levis don't stock Sherpa here . ok edit , I see someone mentioned it's a model , of cause it looks good on them . can someone name the jacket / store , thanks . 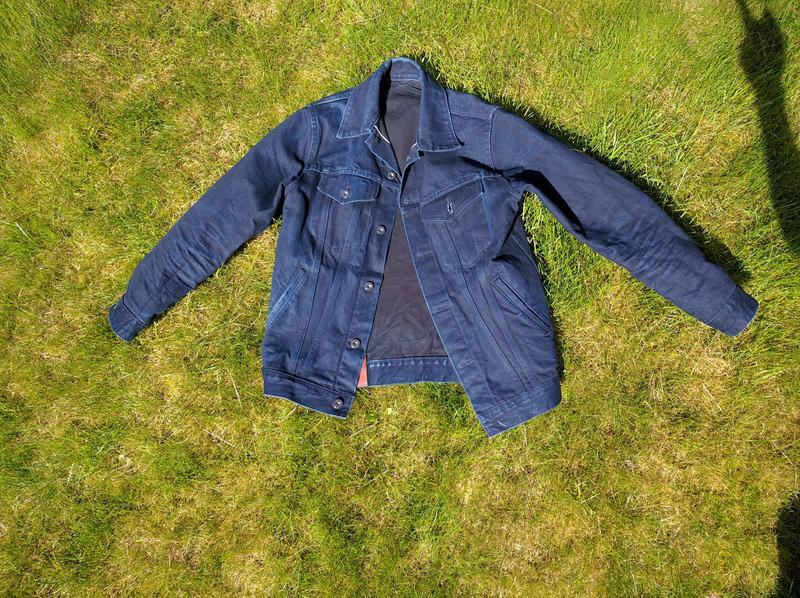 Godspeed are in Melbourne and have a bunch of denim and denim style jackets in different cloths. It's Self Edge, I dunno the model of jacket. 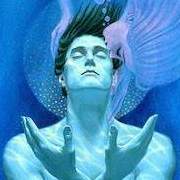 Thanks Jake , I found it not long after posting and am going in another direction . 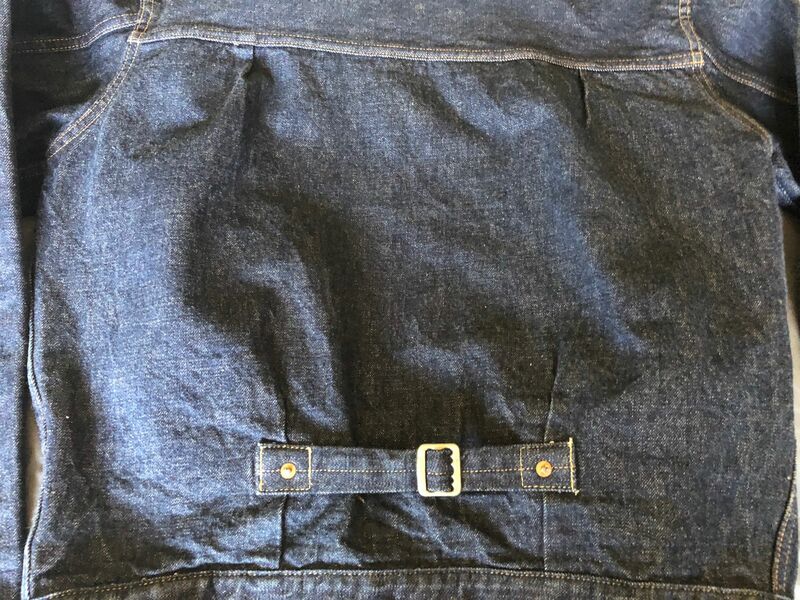 My Denim Type 1. Worn about 20 times, two washes. Slow fades. 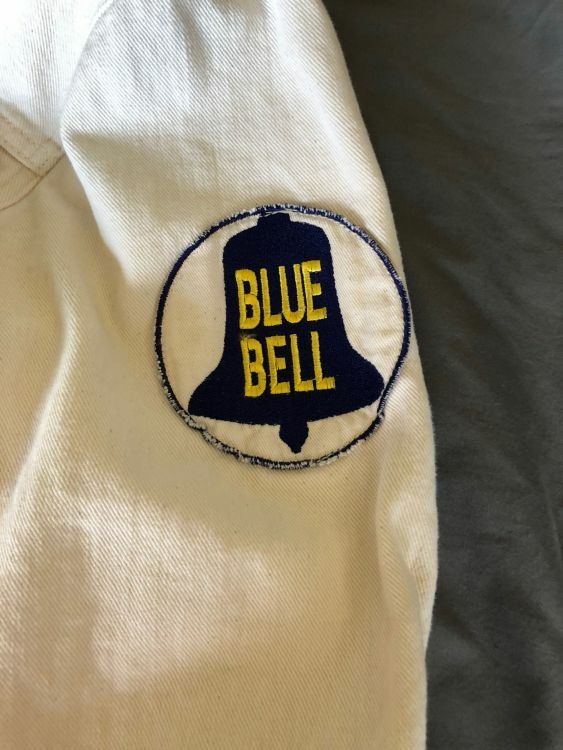 My Wrangler Blue Bell, worn 3 or 4 times. Will be getting a lot of wear this summer. 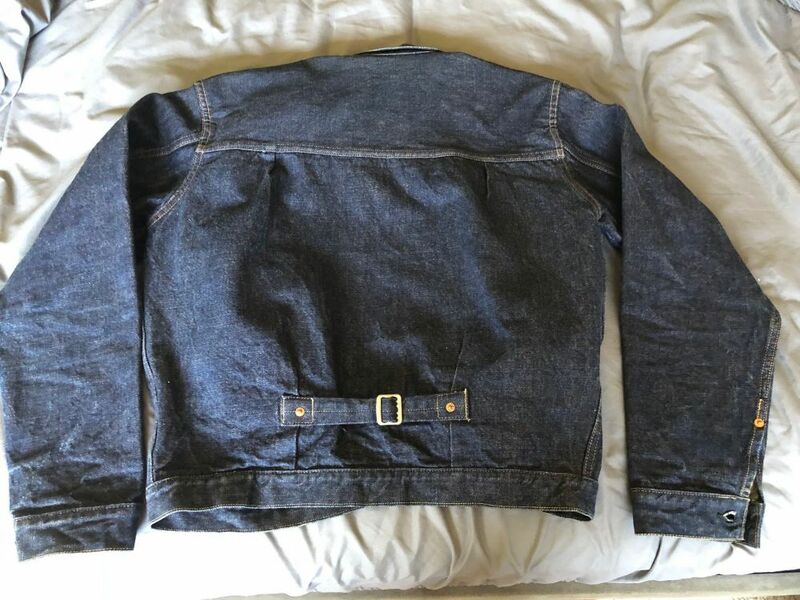 Can you post pics from your Lee denim jacket again? 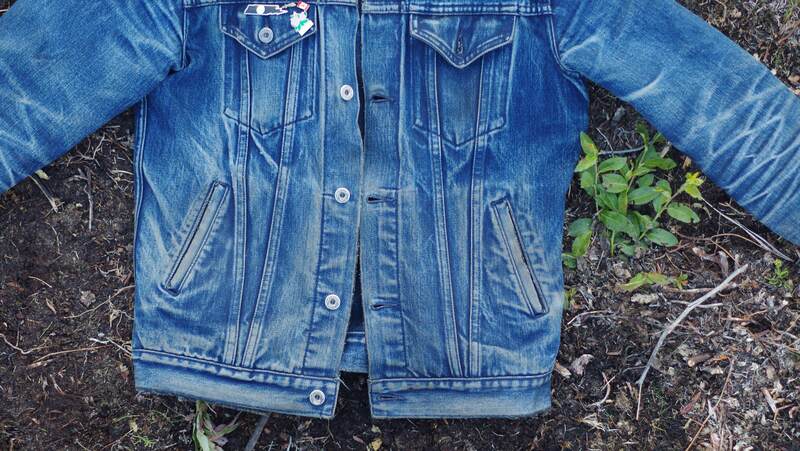 And your Wrangler denim jacket is soooo beautiful. The Wrangler jacket, I believe I got in Tokyo years ago. Don't really remember what store. It is coming up on its fourth birthday! Ande Whall's take on the type 2...ok it's a pretty loose take and not to everyone's taste but I love it.